Rise of the Deva’shi will release February 28, 2017 from Bellatrix Press! The cover was designed by the super talented Veronica Jones, and boy is it gorgeous! Catch up on the series! Click the covers below to purchase book one and two! Some people believe that birds are “spirit messengers” who carry messages between the living and the dead. In Shamanism, doves and pigeons are interchangeable and represent home and security, carrying messages of love and peace. Consider this as I tell you my “exciting” story. The weekend before last, I heard a thumping sound in my chimney. I assumed it was a small trapped animal, but when I opened the damper there was nothing there. I used a flash light and scanned the inner walls of the chimney to see nothing but crumbling brick and cobwebs galore. But the thumping sound continued between Sunday and Wednesday and I was starting to freak out. Each chapter will take you one step, leap, or bound closer to successfully publishing your book. Grab your cape. It’s time to be an indie publishing hero! E.J. is giving away a 2017 Planner and Custom Pen, perfect for beginning the year with new writing, publishing, and marketing goals. Entry is by Rafflecopter. Giveaway is open to US/UK/CA. Giveaway begins January 10th and ends January 31st. Join the E.J. Stevens newsletter and learn about news, events, and ghosts. Monthly news updates, tour photos, and exclusive reader perks (FREE reads & giveaways!). Great resources for authors on E.J.’s “Author Resources” page on her official website. In honor of C.L. 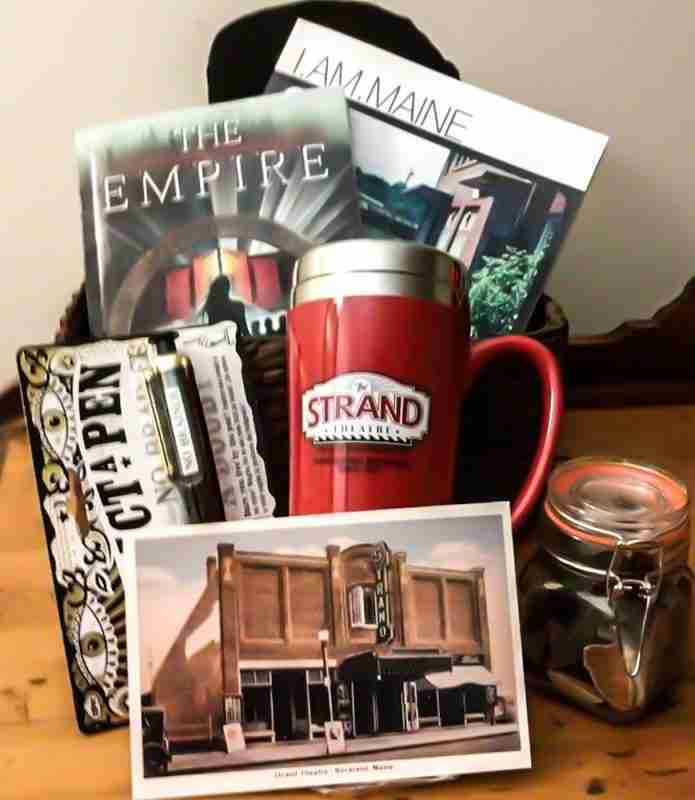 Alden’s author debut, we are giving away some items a Maine Giveaway pack. Alden’s paranormal urban fantasy, “The Empire,” takes place in a small coastal Maine town struggling to find a place in a modern world. When Darcy returns to her hometown, she finds it isn’t only the living who want to weigh in on the future of Shorton, Maine. The Empire is available in print and kindle. Entries done by Rafflecopter. This giveaway is open to all geographic regions. Giveaway begins January 6, 2017 7:00PM and ends January 20, 2017 7:00PM. 7:00PM. I’ll announce the winner via the blog and Facebook so keep checking back!